The warmer waters of spring signal the start of the snapper season and the pink skies of sunset and sunrise are the best fishing times. 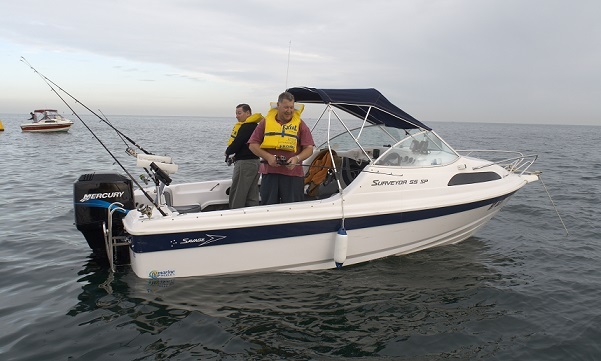 "The snapper season traditionally marks both the start of the Victorian boating season and a spike in the number of vessels broken down," said Peter Corcoran, Director Maritime Safety. "In 2015-16 there were 1122 disablements and there have been 68 since 1 July this year. "Many of these were due to lack of preparation," Mr Corcoran said. Be able to raise the alarm. "Before you head out, do some simple things like replace stale fuel and ensure batteries are fully charged. "Have all the correct safety equipment - such as lifejackets, waterproof torches, flares and fire extinguishers - on board, up to date and in good working condition. "We also strongly recommend having a way to raise the alarm in case of emergency, for example purchasing an emergency position indicating radio beacon (EPIRB)," Mr Corcoran said. As many anglers will be dipping their lines in the water before sunrise or after sunset, Maritime Safety Victoria is reminding them that navigation lights are a legal requirement for all vessels operating at night or in limited visibility. When underway, being visible and staying well clear of ships should be a priority. To avoid colliding with other vessels, boats must display the correct combination of lights. When anchored, display an all-round white light so other vessels can avoid you. Lights must be fitted in the correct positions for optimal visibility. Read more about navigation lights necessary for your vessel. If you're fishing in Port Phillip Bay, remember that you cannot anchor in shipping channels or transit-only zones.